holiday. darwin's finches. ideas. night-time sewing. help from another. food in plastic. batteries. fears of a storm. waking. walking. a route repeated. mussels. i am the intruder; my coffee packets bear this out. 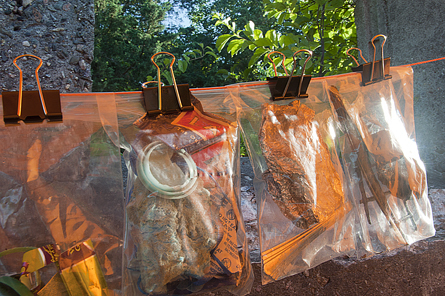 samples in a plastic bag. i am given a blue balloon, a white tube of lip paint. dirk marking strings. the water lasts. there is an hour each morning when the sun goes from warm to hurtful. unload. unpack. unpack the mussels, too, and shoot photo after photo. blue balloon in a yard nearby. straws everywhere. i find no ticks. In the summer of 2011 my colleagues from the Axiom Group and I were invited to participate in the Bumpkin Island Art Encampment. With several other art collectives we lived on the Island for 5 days making temporary work, often from Island sourced materials. 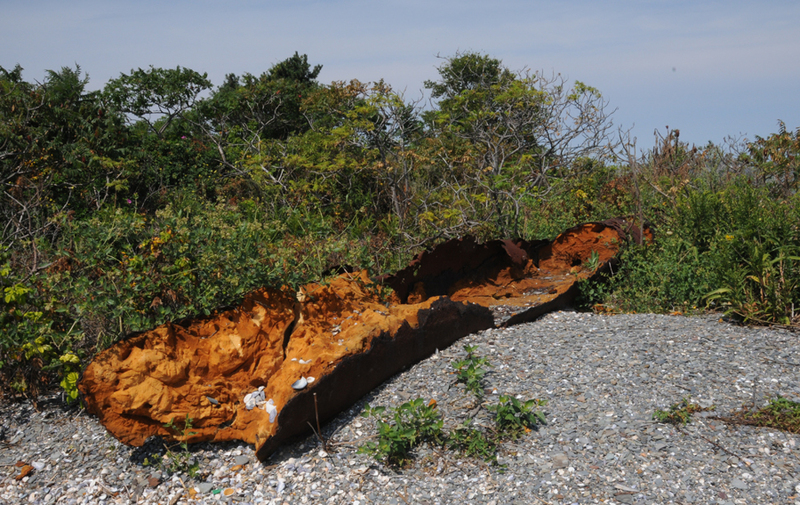 Bumpkin Island is located in Boston Harbor and is a National Park administered by the Massachusetts Department of Conservation and Recreation (DCR). It lacks electricity, running water, or permanent public shelters. As a condition of the residency artists, like homesteaders, were limited to supplies for sleeping, eating, and art making that they could physically carry with them on the small boat that brought us to the island. Fresh water was provided. I built and staffed a Border Control Station next to the site of a Word War 1 military installation. 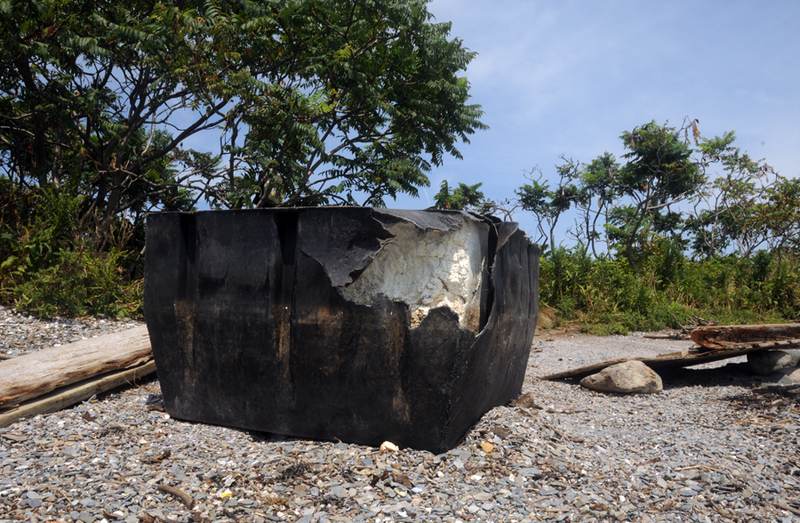 During walks along the coast and through the Island I collected "intruders": items washed up by the sea, objects dropped or otherwise left by previous visitors, and a sampling of the refuse inevitably generated by participants in the encampment. I subsequently worked to identify, categorize, and document these unwanted visitors. At the end of my stay the smaller intruders were deported to the mainland for continued processing. 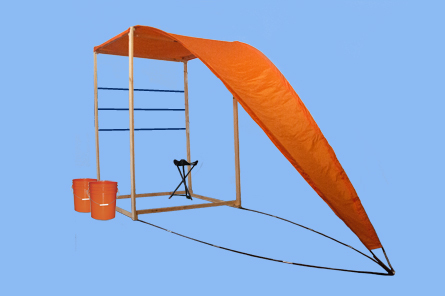 The use of orange in the work was a reference to the color both of warning devices - caution cones and hunting vests - and to the prisoner uniforms at Guantanamo Bay. So too, the act of deportation, "intruders" stashed inside an orange plastic bucket on their journey across the water, could also be read as the more sinister and illegal act of rendition. Humor is rarely innocent.